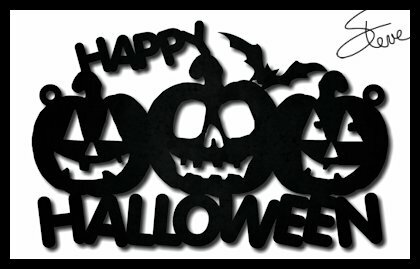 Halloween Door Sign Scroll Saw Pattern. Have you ever had a job that has gotten so out of hand that you hate to tackle it. That is how I feel about cleaning my workshop today. It's a mess. 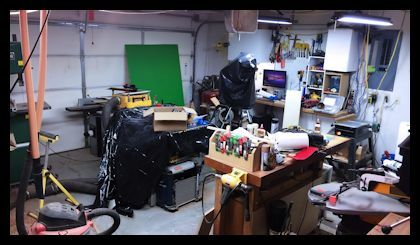 I have completed several large personal projects lately and did not have time to clean as I finished. Now I have a few hours of work. One problem I have when cleaning the workshop is always wanting to build some new storage project or update something. It seems a workshop is never really exactly the way you want it. Come to think about it, that makes cleaning more fun. Time to go clean. 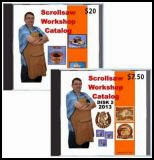 If you want to mill your own thin boards for scroll saw projects you will eventually want a band saw. The cost saving can be substantial when you buy lumber in the rough. This Grizzly get good reviews. 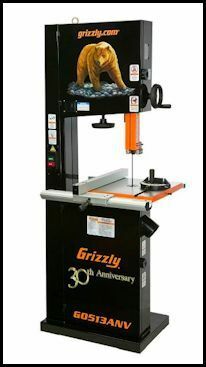 Combine this with a quality re-saw blade and you will be in business. 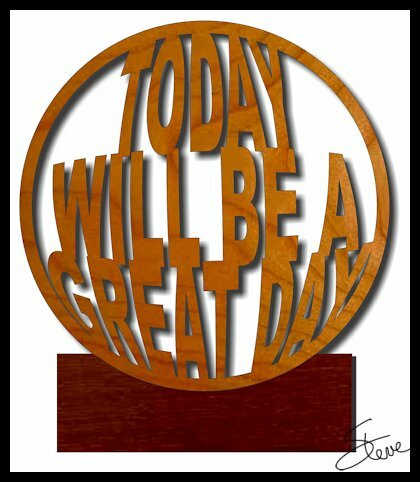 My crystal ball says, "Today will be a great day". The wooden ball is 3/4" Thick. The stand is 1 1/2" Thick. The ball just sits in the cut out in the stand. It's your morning prognostication. Just a heads up for later this week. I plan to have the Jet JWSS-22B Scroll Saw in my shop by Wednesday of this week. After I get it set up and spend a couple hours cutting I will be doing a "first impression" video. 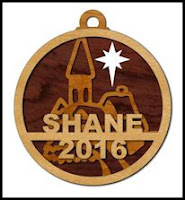 I am receiving lots of questions about this new entry into the market so I'm excited to get my hands on it. I think I can have the video out by the weekend if I hustle. 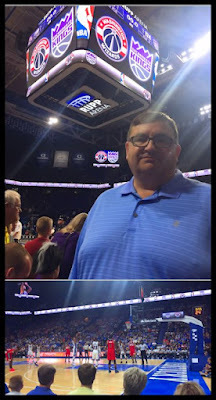 I spent the evening watching a pre-season NBA match-up between the Washington Wizards and the Sacramento Kings. 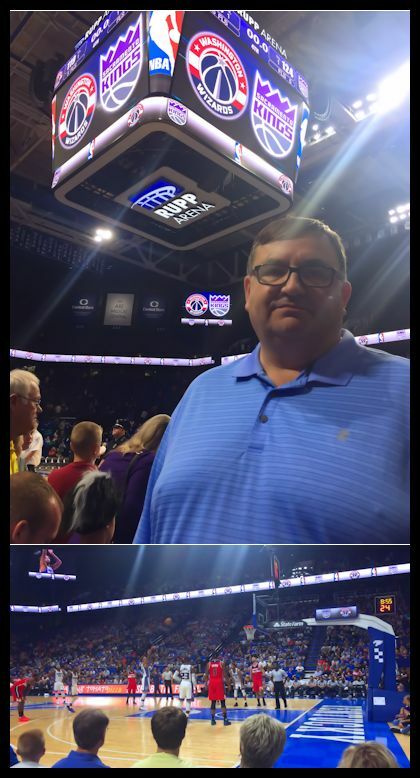 They traveled to Kentucky's Rupp Arena for the game. There are three ex Kentucky wildcats on the Kings and one on the Wizards. John Wall leads the Wizards and Demarcus Cousins leads the Kings. The Kings also have Willie Cauley-Stein and Skal Labissiere on the roster. Kentucky fans turned out in good numbers to welcome the four Wildcats back home. It was a typical NBA pre-season game without much intensity but still fun to watch. This was my Anniversary present from my wife. We exchanged event tickets this year. I bought her Dolly Parton concert tickets and Patty bought me NBA tickets. I enjoyed the game but I have to say Dolly's concert was the better of the two events. She is simply outstanding live. 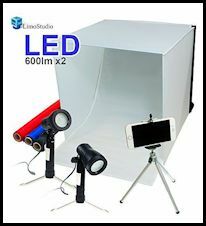 LimoStudio 16" x 16" Table Top Photo Photography Studio Lighting Light Tent. 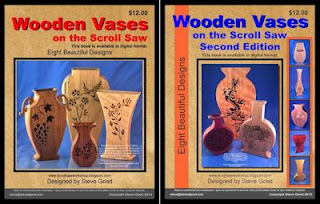 If you sell your crafts online then you just have to have good images. If the images are bad the sales will be bad. For small projects nothing works better than a light tent. The price on this tent sold on Amazon is as good as I have seen. Worth a look. I use my tent to allow me to get well lit photographs for the blog.